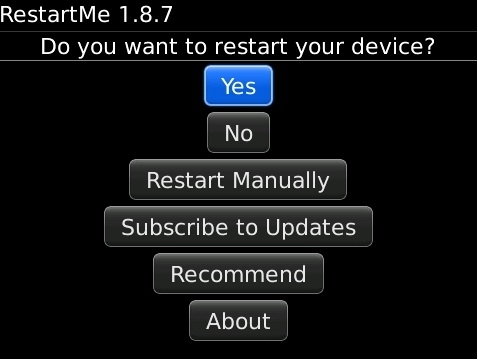 This is the easiest way to restart the BlackBerry®! No more battery pulls! No more funky key shortcuts to remember! - Restarts the device easily with just a click of a button! - Avoids complicated combinations to restart device.